With one EP under his belt, James Robb shared his love for pop and R&B via his songwriting and voice. The UK singer-songwriter started joining writing sessions when he was young and performed around his hometown, Hitchin. Currently, James is busy recording in the studio to record his second EP which is set to be released later this year. 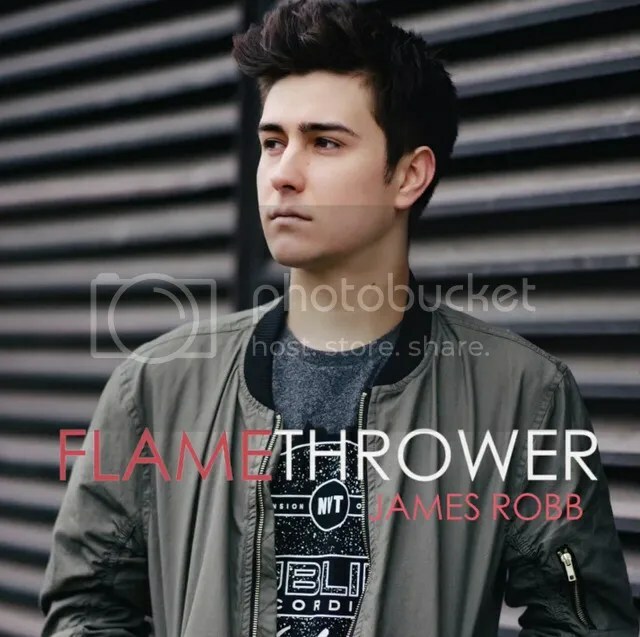 He is generous enough to give us a sneak peek to his upcoming EP by releasing a new single, Flamethrower. Written by James and produced by Malaysian artist, Kuizz, this song is about a burned relationship. “The horrible feeling when you know one of you cares more than the other but you are too attached to do anything about it. The song is a release of all the frustrations in that moment. It is definitely something I’ve experienced before and I know lots of other people have too,” explained James. When I first heard the song, it reminds me of the music in the 90s; maybe it is the beat and the resemblance of songs from millenial artiste like Justin Timberlake which makes me feels this way. He also reminds me a smidge of David Archuleta’s voice; melodious and breathy. Personally, I am in love with this single and I am excited for his second EP. I really hope the songs in the EP will be similar or better than this. Love songs have a way of allowing us to connect with others easily because people have gone through it. Support James by downloading the single on iTunes. Stay connect to James by following him on Twitter and like his Facebook Page!